Vision Art Eye Care (Naperville) - Book Appointment Online! 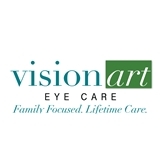 The Vision Art Eye Care is a premier eye care facility located in Naperville, Ilinois. Our office is dedicated to providing excellence in patient care, clinical education, and optical services. Dr. Mintchell is a leader in clinical eye care involving eye and vision disorders including pediatrics. At Vision Art Eye Care, we provide the highest quality lenses, frames and contact lenses to solve the visual needs of our patients. We look forward to meeting you and taking care of your eye care needs. Please contact us to schedule an appointment or stop in to see our beautiful facility. We love Dr Mitchell. Her staff is always friendly. Amy question you have they have an answer.